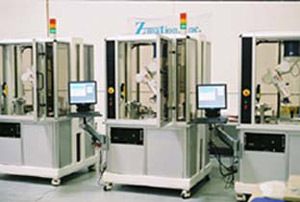 Z-URP (Inverted 6 axis or fully articulated robot production) : Zmation, Inc. Fully articulated or 6 axis robotic systems allow an integrator to work around complex parts and/or shapes. This is an example of an inverted 6 axis automation platform build.